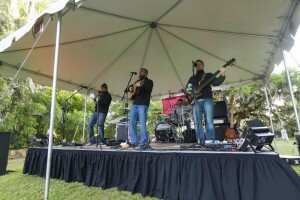 Airlie’s Summer Concert Series begins May 6th and runs every 1st and 3rd Friday through September 16th. Concerts are from 6pm-8pm each scheduled evening. Concerts are open to the general public and admission is free for Airlie Members. Tickets are $9/Adults, $2/Children(4-12), Free for children under 4 years. Parking is off-site at 5335 Oleander Drive with free trolley service to and from Airlie Gardens.